The ICP+P community embraces the ever-evolving nature of psychotherapy. The integration of the new with well-founded tradition is what I find to be so effective about ICP+P’s cornerstone philosophy. I feel that it is OK to explore ways of bringing new ideas into my thinking and practice, and that my colleagues welcome discussion of this. I was fortunate to gain a foundation in psychoanalytic theory from my graduate school. It was essential to my understanding of what Freud coined the “talking cure.” I found the historical perspective so important to grasping the growing evolution of psychotherapy — all the way from object relations theory and self psychology, to group therapy, somatic awareness, and beyond. In my practice of psychotherapy, I integrate all of this – as well as incorporating Qi Gong meditation. Qi Gong is a form of meditation designed to enhance mindfulness, reduce stress and move trauma out of the body. I have two certifications to teach this type of meditation. I also practice regularly and am witness to its effectiveness. It is a combination of Buddhist and Taoist forms of meditation and is connected to the theory of meridians in acupuncture. All are rooted in ancient traditions. My individual clients find that when I incorporate the use of Qi Gong mindfulness, visualizations, and breathing into our clinical work, it enhances their therapy experience. I am now branching into group work with meditation. This past month I began a 6-session meditation group in which I am teaching the techniques for which I am certified. I am very optimistic about the participants’ opportunity for growth. My goal is to begin more groups and add long-term group therapy to the mix. I created a metaphor as an introduction to my webpage: “Grow like a tree with deep roots, so that when the wind blows you can remain still and strong.” Little did I know when I first wrote it that this imagery is very prevalent in some of the Qi Gong meditation visualizations! There are many ways to grow strong to withstand “the slings and arrows of outrageous fortune.” Each branch and each root are unique in what sustains them. One sprout may have sustained a bitter winter, while another a horrific drought. What did each one need to survive their challenge, and what will allow them to flourish? Something different. I think about my clients in the same way. Listening to one’s own inner wisdom while creatively integrating theoretical understanding with new ways of thinking about the healing process, and with the needs of a particular person, is essential. This inner wisdom, combined with empathy and compassion, is where true therapy begins to heal. These are my opinions and I feel free to express them. This is why I love ICP+P. ICP+P gets its strength and creativity from our membership participation, and being on the Board is an opportunity to be involved in the collaborating and planning as we work together to achieve the Organization’s goals. If you are interested in taking a more active part in ICP+P or know of someone who might consider becoming active in the governance of ICP+P, please nominate yourself or her/him for a position. This election cycle we have two open positions on the Board: Chair of the Continuing Education (CE) Committee and Secretary. Attached is a link to descriptions of each of the positions. The Board meets once a month on the third Monday evening from 7:30-9:15 at the ICP+P office. We encourage you to contact a member of the Elections committee or an existing Board member to discuss and answer any questions you may have about their work. Nominations are due by March 15th. Thank you for participating in this process. Dr. Steven Stern will present his richly integrative clinical approach organized around the principle of co-creating needed relationships uniquely with each of our patients. His model is deeply rooted in self psychology and intersubjective systems theory, but is equally grounded in neighboring theories, including Winnicottian, Bionian and Relational theories, a non-linear dynamic systems perspective, and especially Louis Sander’s developmental process principles. At the center of Stern’s approach is the idea of “meeting the patient” – a process which, paradoxically, requires the full complexity of multiple psychoanalytic theories and frames of reference (vertices) in order to provide the “simply human” responses our patients need from us. Dr. Stern will begin with an overview of the major elements of his model, interspersing theory with illustrative clinical material. He will then present an extended clinical example — a challenging case in which the nature of what was needed only emerged over a long period of time. This conference aims to stimulate our capacity to develop, integrate and hold in mind a range of theoretical models while remaining open and curious to discover the unique path of growth for each of our patients. In addition to the talk and clinical illustration by Dr. Stern, our format includes smaller discussion groups and members’ clinical vignettes for Dr. Stern’s and audience members’ commentary and discussion. Apply the principles of co-creating needed analytic relationships with traumatized psychotherapy patients to their therapy practice. Orient and respond to traumatized patients using a multi-theoretical, relationally-integrative framework. Develop competence in the process of “meeting” traumatized patients in ways that are “fitted to” and transformative of their most traumatized states. Apply an expanded, more fully relational understanding of the concept of “the forward edge” in work with developmentally traumatized patients. Apply the concepts of “contouring” and “necessity” in work with relationally traumatized patients. Respond to traumatized patients with greater freedom of both apprehension and expressiveness, exercised within a fundamentally empathic stance. This conference is appropriate for mental health professionals at all levels of experience and offers 6 CEs. April 28, 2019 – Psychoanalytic Training Program / Joint Institutes Candidates’ Committee (JICC) 22nd Annual Conference, Washington DC Metropolitan Area, 3:00-6:30 pm, 3 CEs. Click here to register now. 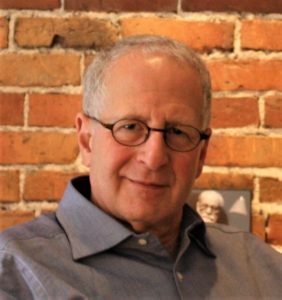 May 4, 2019, Annual Conference – Needed Relationships, The Forward Edge, and the Transformation of Traumatized States, with Steven Stern, PsyD, National 4-H Conference Center, Chevy Chase, MD, 9:00am-4:30pm, 6.0 CEs. Register Here Now. June 2, 2019, ICP+P Training Graduation, Maggiano’s Little Italy Chevy Chase, 5333 Wisconsin Avenue, NW, Washington, DC, 11:00 am-2:00 pm. September 27, 2019, Pre-Conference with Janna Sandmeyer, PhD with Mark Blechner, PhD as discussant. Dr. Sandmeyer will present her Ralph Roughton award winning paper, “Understanding Homophobia in our Forefathers: Rethinking How Kohut Actually Worked.” In this presentation, we will consider Kohut’s perspective on homosexuality, as well as grapple with ethical considerations in addressing the history of homophobia in psychoanalysis. Silver Spring Civic Building, 3:30-5:30 pm, 2 CEs. Fulfills Ethics credit requirement. September 28, 2019, Conference with Mark J. Blechner, PhD, Silver Spring Civic Building, 9:00am-12:30pm, 3 CEs. Dr. Blechner will discuss gender and sexual fluidity, and how attitudes and social norms about sexuality and gender identification have changed over the last 50 years. In his clinically focused presentation, Dr. Blechner will address how this has led to changes in psychotherapeutic aims and practices, and he will outline countertransference dilemmas and ways that clinicians can use them productively. Fulfills LGBTQ/Diversity credit requirement. 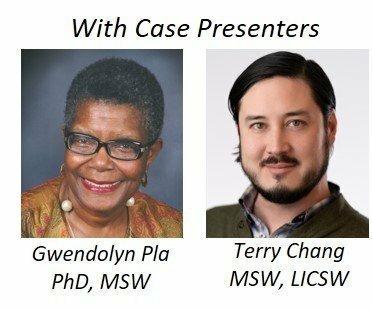 December 7, 2019, Conference with Anton H. Hart, PhD, Silver Spring Civic Building, 9:00am-12:30pm, 3 CEs. Fulfills Diversity credit requirement. Mauricio Cortina, MD will be receiving the Annual John Bowlby and Mary Ainsworth Award March 22, 2019 at the Society for Research in Child Development (SRCD) in Baltimore, Maryland. The award is given to distinguished contributions to the advancement of attachment theory. The Bowlby-Ainsworth Award recognizes senior scholars who exemplified the standards of scholarship, collegiality and service that John Bowlby and Mary Ainsworth shared, taught, and valued. Awards are also made to younger researchers for specific contributions of lasting importance. Special Awards are occasionally given in recognition of singular contributions to the Bowlby-Ainsworth tradition. Selections are made by the Awards Committee of the Center For Mental Health Promotion and The New York Attachment Consortium, in consultation with distinguished colleagues from several continents. The Award is represented by a crystal sculpture engraved with the portraits of John Bowlby and Mary Ainsworth, the recipients’ name, and a brief award statement. Marilyn Meyers has a chapter in a book entitled Healing Trauma: The Power of Listening, edited by by Evelyn Jaffe Schreiber (2018, IPBooks). The book is a compendium of papers originally written for a multi-disciplinary conference entitled Listening to Trauma: Insights and Actions. Dr. Meyers’ chapter, Meta-witnessing: A New Perspective on Witnessing Trauma, delineates a form of witnessing that goes beyond the witnessing of trauma and beyond honoring the act of witnessing, to offer a more abstract perspective on the act of witnessing. ICP+P member Wendy Miller, PhD, ATR-BC, will present Sky Above Clouds: A Creative View of Aging for the Villages of Kensington on March 28, 6-7:30 pm at the Kensington Park Library, 4201 Knowles Ave, Kensington, MD. For information, contact Laurie Pross at laurieprossvok@yahoo.com or 240-4098-9272. This presentation is based on the book, Sky Above Clouds: Finding our way through creativity, aging, and illness, written by Wendy Miller and her late husband Gene Cohen. Miller will share findings from their book on creativity as a catalyst for growth, hope, love and healing at every stage of our lives. The research and narrative on creative aging illuminates the starkly complex dimensions of their experience at the intersection of adversity and possibility. The audience will learn the kinds and patterns of creativity in aging, as well as what neuroscience has discovered about aging, creative potential and psychological growth. This talk looks at creativity not only in the arts, but also in pragmatic and social arenas. Miller will share new metaphors for aging as well as Cohen’s social portfolio, both of which contribute to a view of aging that adds as it takes away. Three half days and one full week day available in beautifully furnished and spacious office suite in Dupont Circle neighborhood. Private waiting room, en suite bathroom, microwave and fridge. Steps from the red line train at both Dupont Circle exits. 24-hour doorman residential building, with offices on the first floor. In door and outdoor parking available at additional charge. Contact Sheila Cahill, sheilacahill@mac.com. Opening in ongoing psychotherapy supervision group. From a broadly psychodynamic standpoint, our group focuses on the use of the therapist’s self in psychotherapy, while also paying attention to contextual and cultural factors surrounding the clinical work. Group members present cases on a rotating basis, and also serve as case consultants to other members. Group process will be used to illuminate the psychology of client, therapist, and their jointly created relationship, and also to clarify the therapeutic process itself. The group meets weekly on Tuesdays, 10:00–11:15 am in Friendship Heights. If interested, or have questions, please contact Barbara Wayne, (202) 363-0185, bhwayne@verizon.net or Cherian Verghese, (202) 296-2822, cverghese@mindspring.com. Click here for the flyer.